Agent Spotlight is a special column where we feature Malaysian insurance agents who have provided exceptional service to their customers. We share their background stories and ask for advice on how Malaysians can protect themselves better against accidents and illness. This month we interviewed Sunny Shahros from Kuala Lumpur. He is exceptional with raving fans providing him with over 30 verified five-star reviews. 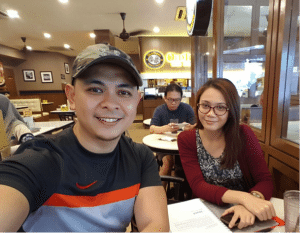 He shares with us his story, what made him decided to become a Takaful/ Insurance agent and what Malaysians should watch out in their Takaful/ Insurance policies. iBanding: What is your background? Sunny Shahros: I started my career working in the corporate world. I worked in the service industry managing restaurants, worked in the credit industry and in the HR department (9 years) before spending some time in the travel industry. iBanding: What made you move into Takaful & Insurance? Sunny Shahros: I love to communicate with people and help them ensure a safer future. Life Takaful/ Insurance are an interesting career. I meet a lot of different people with many different backgrounds and I need to understand their needs well, give them awareness and educate them to find the best Takaful/ Insurance which will suit their needs. I love the job. It gives me a lot of flexibility on how I manage my time. A life event triggered me to learn more about Takaful/ Insurance. When I was working in HR, I had a good friend. He was very hard working and stayed long hours at work sometimes till 10pm. One Monday he was sick, but still came to work, because he was so dedicated to his work. During lunch, I touched his hand and he was burning and I asked him why he did not go and see a doctor. He was very stubborn and still would come to work. On Friday, he was admitted to the hospital and I got to know in the evening that he was diagnosed with Dengue fever. He then fell into Coma and passed away that Saturday night. I then learned that he had left nothing behind for his family not even Takaful/ Insurance plan except for his EPF which had no nomination made. He had a wife (a housewife) and 3 children but luckily the company paid RM 30,000 out of courtesy (based on his length of service) to support the family. This experience made me think of what it would be like if it were to happen to me? I then started to look into more details on Takaful/ Insurance and learned about the importance of Life, Health and Medical Takaful/ Insurance plans. My friend was always working hard to provide the best for his family, but he may have overlooked the idea of what would happen to his family if he was not there to support them. This event made me see things in a different perspective of life. iBanding: How long have you been in the Takaful & Insurance industry? Sunny Shahros: Now, I have contracted for about 4 years in the Takaful/ Insurance industry. After that event in 2011, I paid more attention to Takaful/ Insurance and decided to be an Agent in May 2013 I first started to sell Takaful/ Insurance part-time. Within a short period, 5-6 months, I acquired 70 cases. With some previous saving and current commission at that time it was enough for me to quit my corporate job and be a full-time Takaful/ Insurance agent. I noticed that in my surrounding there are still a lot of people who don’t have Takaful/ Insurance and fail to think about what will happen if you get really sick or permanently disabled beside than death. Are you well prepared? Explaining Takaful/ Insurance policies to clients at the office. iBanding: What are your Takaful specialty and your focus in Takaful/ Insurance? Sunny Shahros: I provide full Takaful/ Insurance service, but health, medical and life Takaful/ Insurance are my specialization. iBanding: What are the biggest mistakes Malaysians make in buying Takaful/ Insurance? Sunny Shahros: The biggest mistake is that people do not buy Takaful/ Insurance because they ignore it. Most of them give a reason by saying “I’m busy, I don’t have time, my company have provided for the staff, let me ask my wife” and so on. Many people say they do not have enough money. But the middle and lower income people are the most in need of Takaful/ Insurance. Because what happens if you are sick, the medical cost can be an expense that can ruin a family financially. In the past 10 years medical cost have increased 100% to 200%. It is wiser to pay a small amount regularly through Takaful/ Insurance, thus the huge medical costs can be covered. The higher income people seen this coming and some of them had prepared it as early as they can to keep their fortune protected. That is why the rich are getting richer. People are afraid of what they do not know or do not understand. Often, people do not buy Takaful/ Insurance, because it is not something that people can see or touch (intangible). I always ask them using a metaphor, if the government does not require car Takaful/ Insurance, would you still buy? Most people say “Yes” they still would buy, because they still want to be protected when there is an accident. So what about your life? For car Takaful/ Insurance, even after 10 years of no accident, people would still buy car Takaful/ Insurance. Yet many people do not have life, health and medical Takaful/ Insurance. People are hesitant to buy, because they do not understand the burden to the family, if someone dies or is permanently disabled. They are willing to protect the vehicle but reluctant to protect themselves. Another mistake is that many people do not know what they are buying. They buy the wrong plan. Lots of telemarketing companies; people that sell Takaful/ Insurance over the phone, sell cheap and unsuitable Takaful/ Insurance to make money. They do not really take the time to understand the customer’s background to find the best Takaful/ Insurance for them. They just sell and sell. Takaful/ Insurance are complex and sadly most of them do not walk through the full policy with clients. That is why I make a point to walk my clients through what they are buying and at least every 6 months I meet them for a refresher and I believed people nowadays prefer this method. This what I learned from my Agency Leader. Do not take things for granted. iBanding: What are the biggest mistakes people make when claiming for life or health Takaful/ Insurance? Sunny Shahros: The biggest mistake people make is that they do not follow the procedure and then end up paying for the medical bills first out of their pocket. One example is that when people get sick, they go directly to the specialist who then conducts tests. When the specialist finds that nothing serious or can not find any suitable diagnosis to confirm, the client need to bare the Outpatient cost which may end up min at $700 up to $1500. The correct procedure (based on normal practice) is to first visit a regular doctor who will examine you. If needed, and if the doctor assumes you need to be admitted or to get a specialist’s attention urgently he will refer you to a specialist by issuing a Referral Letter. Only then you go to a specialist and seek their professional advice by doing some test and diagnosis. Once it is confirm that the client needs to be admitted for a certain procedure or operation then the Hospital Admission will do the necessary process with the Takaful/ Insurance Company to retrieve the Guarantee Letter without delay. Standard process may take several hours depending on demand and luck. Another mistake is to go straight through the emergency room of hospitals for minor illnesses that a general doctor can treat. Sunny Shahros: I do not think of myself successful. I am still on the way. My approach to business is being patient, staying humble, keep communicating with prospects and being courteous to other agents. More importantly I avoid being a judgemental person. iBanding: What is the most challenging situation you have to overcome as Takaful/ Insurance agent? Sunny Shahros: The environment for Takaful/ Insurance agents has become tougher. The current economy is not really good and some people lose jobs and do not have money to pay their expenses. In this situation, the first thing that people do is to stop paying for Takaful/ Insurance. Takaful/ Insurance agents, then start going after other agent’s clients. It is a bad practice when agents start to steal one another’s customers away. Takaful/ Insurance agents should be considerate and respectful to one another. Instead of asking customers with Takaful/ Insurance to switch to another company, we should educate customers that do not have Takaful/ Insurance cover. We share the same goal in saving people’s lives and their future. It does not help the customer, if they keep switching, because they will lose money and time. Imagine the process repeating again and again, the clients end up being the victims. iBanding: Where do you think the Takaful/ Insurance industry is heading next year? Where do you think it is heading 5 years from now? Sunny Shahros: Based on current economic situation the Takaful/ Insurance industry will grow at a moderate pace. Nevertheless there are people who will do excellent. There are a huge potential for Takaful/ Insurance and the market will always be there. In other countries like Singapore, their people awareness is very high compared to Malaysia. We have a great responsibility to work harder to educate our people. I believe we and our people are ready to adapt to the challenge in future. We thank Sunny for his time to do the interview with us. It was a great pleasure to talk to him and learn from him what it means to be a Takaful/ Insurance agent. If you have questions about Takaful/ Insurance or if you are looking for an agent in Kuala Lumpur, check out Sunny’s profile on our Agent Directory and contact him. Bulan ini kami menemu bual Sunny Shahros dari Kuala Lumpur. Beliau seorang yang luar biasa dengan pelanggan yang memujinya dengan memberikan lebih 30 ulasan lima bintang. Beliau berkongsi ceritanya dengan kami, apa yang membuat beliau memutuskan untuk menjadi ejen Takaful dan apa yang rakyat Malaysia patut perhatikan dalam polisi Takaful/Insurans mereka. iBanding: Apakah latar belakang anda? Sunny Shahros: Kerjaya saya bermula di dunia korporat. Saya pernah bekerja dalam industri perkhidmatan, menguruskan restauran, industri kredit dan di jabatan sumber manusia (9 tahun) sebelum menghabiskan sedikit masa dalam industri pelancongan. iBanding: Apakah yang membuat anda berhijrah ke Takaful & Insurans? Sunny Shahros: Saya suka berkomunikasi dengan orang ramai dan membantu mereka memastikan jaminan masa depan mereka. Takaful/ Insurans nyawa adalah satu kerjaya yang menarik. Saya berjumpa dengan pelbagai orang yang mempunyai latar belakang berbeza. Saya perlu memahami dengan sebaiknya keperluan mereka, beri mereka kesedaran dan mengajar mereka memilih Takaful/ Insurans terbaik yang sesuai dengan keperluan mereka nanti. Saya suka pekerjaan ini. Ia memberi saya lebih fleksibiliti untuk menguruskan masa saya. Satu kejadian dalam hidup saya telah membuatkan saya untuk mempelajari mengenai Takaful/ Insurans. Semasa saya bekerja di dalam jabatan sumber manusia, saya ada seorang sahabat baik. Dia sangat rajin usaha dan kerja hingga lewat malam, kadang-kadang sehingga jam 10 malam. Pada satu hari Isnin, dia jatuh sakit, tapi masih datang bekerja, kerana dia seorang yang berdedikasi terhadap pekerjaan. Semasa makan tengahari, saya menyentuh tangannya dan merasa ia sangat panas, lalu saya bertanya kenapa dia tidak pergi berjumpa doktor. Dia sangat degil dan masih datang bekerja. Pada Jumaatnya, dia dimasukkan ke hospital dan saya mendapat tahu pada sebelah petang itu, dia disahkan mengidap demam Denggi. Dia kemudian koma dan meninggal dunia pada malam Sabtu berikutnya. Saya kemudian mendapat tahu yang dia tidak meninggalkan apa-apa untuk keluarganya malah tiada pelan Takaful atau Insurans kecuali wang KWSP yang tidak ada penama waris. Dia meninggalkan seorang isteri (surirumah) dan 3 orang anak, namun nasib keluarganya agak baik kerana syarikat membayar sejumlah RM 30,000 sebagai ihsan (berdasarkan tempoh perkhidmatan) untuk menyara keluarganya. Pengalaman ini membuat saya berfikir bagaimana jika ini terjadi kepada saya? Saya kemudian mula melihat dengan terperinci pada takaful & insurans dan mempelajari mengenai pentingnya pelan-pelan takaful & insurans Nyawa, Kesihatan dan Perubatan. Sahabat saya telah bekerja kuat untuk memberi yang terbaik kepada keluarganya, tetapi dia mungkin terlepas pandang dengan situasi ini dan apa akan terjadi kepada keluarganya sekiranya dia tiada di sini untuk menyara mereka. Kejadian ini membuat saya melihat dari perspektif kehidupan yang berbeza. iBanding: Berapa lama anda telah berada dalam indusri Takaful & Insurans? Sunny Shahros: Kini, saya telah menjalani kontrak selama lebih kurang 4 tahun dalam industri takaful & insurans. Selepas kejadian itu pada tahun 2011, saya memberi lebih perhatian pada bidang ini dan membuat keputusan untuk menjadi ejen dalam bulan May 2013. Saya mula menjual takaful & insurans secara separuh masa. Dalam masa yang singkat, 5-6 bulan, saya mendapat 70 kes. Dengan sedikit wang simpanan dan komisen pada waktu itu, ia cukup untuk saya berhenti dari pekerjaan korporat dan menjadi ejen takaful & insurans secara sepenuh masa. Saya menyedari bahawa dalam persekitaran saya, masih terdapat ramai orang yang tidak memiliki takaful & insurans dan mereka gagal memikirkan mengenai apa akan terjadi jika mereka benar-benar sakit atau hilang keupayaan tetap selain daripada kematian. Adakah anda benar-benar bersedia? iBanding: Apakah keistimewaan Takaful & Insurans anda dan apakah fokus anda? Sunny Shahros: Saya menyediakan perkhidmatan Takaful dan Insurans yang lengkap, tetapi Takaful/Insurans kesihatan, perubatan dan nyawa adalah pengkhususan saya. iBanding: Apakah kesilapan besar yang dilakukan oleh rakyat Malaysia dalam membeli Takaful & Insurans? Sunny Shahros: Kesilapan yang paling besar ialah orang ramai tidak membeli Takaful/Insurans kerana mereka tidak mengendahkannya. Kebanyakan mereka memberi alasan dengan berkata “Saya sibuk, saya tidak ada masa, syarikat saya telah menyediakannya untuk pekerja, biar saya tanya isteri saya” dan sebagainya. Banyak orang berkata mereka tidak mempunyai wang yang cukup. Tetapi golongan sederhana dan berpendapatan rendah adalah golongan yang paling ramai memerlukan Takaful/Insurans. Kerana apa akan terjadi sekiranya anda jatuh sakit, kos perubatan boleh menjadi kos perbelanjaan yang boleh memusnahkan kewangan keluarga. Sepanjang 10 tahun yang lalu, kos perubatan telah meningkat 100% ke 200%. Adalah langkah bijak untuk membayar amaun yang kecil dengan tetap melalui Takaful/Insurans, dengan demikian ia boleh menampung kos perubatan yang besar. Mereka yang berpendapatan tinggi nampak hal ini dan sesetengah daripada mereka telah bersedia seawal yang mungkin untuk melindungi harta mereka. Itulah sebabnya orang yang kaya bertambah kaya. Orang ramai takut akan apa yang mereka tidak tahu atau tidak paham. Seringkali, orang ramai tidak membeli Takaful atau Insurans, kerana ianya bukanlah sesuatu yang dapat dilihat atau disentuh. Saya selalu bertanya kepada mereka menggunakan perumpamaan, sekiranya kerajaan tidak mewajibkan Takaful/Insurans kereta, adakah anda akan masih membelinya? Kebanyakan dari mereka akan menjawab “Ya” mereka akan masih membelinya, kerana mereka mahu dilindungi jika terjadinya kemalangan. Jadi, bagaimana dengan nyawa anda? Untuk Takaful/ Insurans kereta, walaupun selepas 10 tahun tanpa kemalangan, orang ramai akan masih membeli Takaful/Insurans kereta. Tetapi kebanyakan orang tidak mempunyai Takaful/Insurans nyawa, kesihatan dan perubatan. Orang ramai teragak-agak untuk membeli, kerana mereka tidak memahami bebanan kepada keluarga, sekiranya seseorang meninggal hilang keupayaan tetap. Mereka sanggup untuk melindungi kenderaan tetapi enggan melindungi diri mereka sendiri. Kesilapan yang lain ialah ramai orang tidak tahu apa yang mereka beli. Mereka membeli pelan yang salah. Kebanyakan syarikat tele-pemasaran; mereka yang menjual Takaful/Insurans melalui telefon, menjual Takaful/Insurans yang murah dan tidak sesuai hanya kerana wang. Mereka tidak benar-benar mengambil masa memahami latar belakang pelanggan untuk menawarkan Takaful/Insurans yang terbaik untuk mereka. Mereka hanya ingin jual dan jual. Takaful/Insurans adalah sesuatu yang rumit dan yang menyedihkan ialah kebanyakan mereka tidak menerangkan sepenuhnya polisi yang lengkap dengan pelanggan. Itulah sebabnya saya memastikan saya akan menerangkan kepada pelanggan saya tentang apa yang mereka beli dan sekurang-kurangnya setiap 6 bulan saya akan berjumpa dengan pelanggan saya untuk mengkaji semula dan saya percaya orang ramai kini percaya dengan kaedah ini. Inilah yang saya pelajari daripada Ketua Agensi saya. Jangan membuat anggapan kepada sesuatu perkara. iBanding: Apakah kesilapan besar yang orang ramai lakukan apabila membuat tuntutan untuk Takaful/Insurans nyawa atau kesihatan? Sunny Shahros: Kesilapan besar yang orang ramai lakukan ialah mereka tidak mengikut prosedur dan akhirnya terpaksa membayar untuk bil perubatan dahulu menggunakan duit sendiri. Satu contoh ialah apabila mereka jatuh sakit, mereka terus pergi kepada pakar yang kemudian membuat ujian. Apabila pakar mendapati bahawa tiada yang serius atau tidak menjumpai apa-apa diagnosis yang sah, pelanggan perlu menanggung kos Pesakit Luar yang mana mungkin mencecah min $700 sehingga $1500. Prosedur yang betul (mengikut amalan biasa) ialah pergi dahulu ke doktor biasa yang akan memeriksa anda. Jika perlu, dan sekiranya doktor mengandaikan yang anda perlu dimasukkan ke hospital atau perlukan perhatian pakar segera, dia akan rujukkan anda kepada pakar dengan mengeluarkan Surat Rujukan. Hanya selepas itu anda pergi kepada pakar dan minta nasihat profesional mereka dengan membuat berapa ujian dan diagnosis. Apabila disahkan bahawa pelanggan perlu dimasukkan ke hospital untuk sesuatu prosedur atau pembedahan, Pentadbiran Hospital akan membuat proses yang perlu dengan Syarikat Takaful/Insurans untuk mendapatkan Surat Jaminan dengan segera. Proses standard akan mengambil masa beberapa jam tertakluk kepada permintaan dan nasib. Kesilapan lain ialah terus pergi ke bilik kecemasan di hospital untuk penyakit-penyakit ringan yang mana doktor biasa boleh merawatnya. iBanding: Apakah rahsia kejayaan anda? Sunny Shahros: Saya tidak rasa yang saya telah berjaya. Masih jauh lagi perjalanan. Cara perniagaan saya ialah bersabar, rendah diri, terus berkomunikasi dengan bakal pembeli dan berbudi bahasa dengan ejen-ejen lain. Yang penting sekali, saya elak daripada menilai orang lain tanpa selidik. iBanding: Apakah situasi paling mencabar yang perlu anda atasi sebagai agen Takaful/Insurans? Sunny Shahros: Persekitaran ejen Takaful/Insurans telah menjadi lebih mencabar. Ekonomi semasa tidak begitu baik dan ramai orang telah kehilangan pekerjaan dan tidak mempunyai wang untuk perbelanjaan mereka. Dalam situasi ini, perkara pertama yang mereka lakukan ialah berhenti membayar Takaful/Insurans. Agen Takaful/Insurans kemudian mula pergi kepada pelanggan-pelanggan ejen lain. Adalah satu amalan buruk apabila ejen mula mencuri pelanggan-pelanggan antara satu sama lain. Ejen-ejen Takaful/Insurans sepatutnya bertimbang-rasa dan menghormati antara satu sama lain. 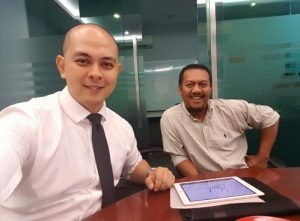 Disebalik meminta pelanggan-pelanggan Takaful/Insurans bertukar kepada syarikat lain, kita patut mendidik pelanggan yang masih tiada perlindungan Takaful/Insurans. Kita berkongsi matlamat yang sama untuk menyelamatkan kehidupan orang ramai dan masa depan mereka. Ia tidak membantu pelanggan sekiranya mereka kerap bertukar syarikat kerana mereka akan kerugian wang dan masa. Bayangkan proses ini berulang lagi dan lagi, akhirnya pelanggan menjadi mangsa. iBanding: Ke mana anda rasa arah tuju industri Takaful dan Insurans tahun hadapan? Ke mana anda rasa arah tujunya 5 tahun dari sekarang? Sunny Shahros: Berdasarkan dengan keadaan ekonomi semasa, industri Takaful/Insurans akan berkembang pada kadar sederhana. Namun akan ada orang yang cemerlang. Terdapat potensi besar untuk Takaful/Insurans dan pasaran akan sentiasa ada. Di negara lain seperti Singapura, kesedaran rakyatnya adalah tinggi berbanding di Malaysia. Kita mempunyai tanggungjawab besar untuk bekerja keras mendidik rakyat kita. Saya percaya kita dan orang ramai bersedia untuk menyesuaikan diri dengan cabaran di masa hadapan. Kami mengucapkan terima kasih kepada Sunny kerana meluangkan masa untuk temubual ini bersama kami. Ia amat menggembirakan dapat berbual dengan beliau dan mempelajari apa maksud menjadi agen Takaful/Insurans. Jika anda ada soalan mengenai Takaful/Insurans atau jika anda sedang mencari agen di Kuala Lumpur atau Selangor, lihat profail Sunny dalam Direktori Agen kami dan hubungi beliau.